For a male black widow spider, life is a series of deadly challenges. He must first make a dangerous journey to find a female, then convince her to mate with him rather than cannibalize him before he can pass on his genetic material. At every stage, he will face fierce competition from rival males with the same agenda. 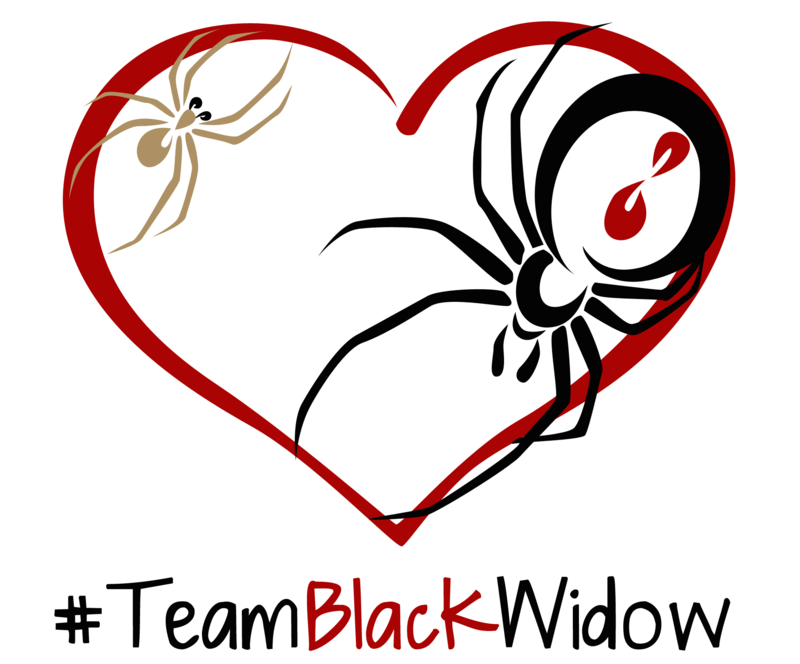 In this project, we seek to understand how male black widows use chemicals produced by females and rivals to gain a competitive edge in the race to find and secure a mate. Black widows are influenced by chemical information throughout their lives. In the laboratory, chemical cues indicating the number of nearby rival males and the availability of females affect the timing of a male’s development, and thus his competitive ability. Researchers in our lab recently discovered that male widow spiders can mate with immature females, a tactic that allows males to mate more quickly and more often. However, as far as we know, only adult females produce the attractive chemical signal that allows males to locate them. So how do males detect valuable but chemically hidden immature females? We hypothesize that mate-searching males use chemical cues from nearby adult females and the draglines of rivals to evaluate the competitive landscape and find immature females. Despite decades of research on black widow mating behaviour, immature mating was reported only this year. 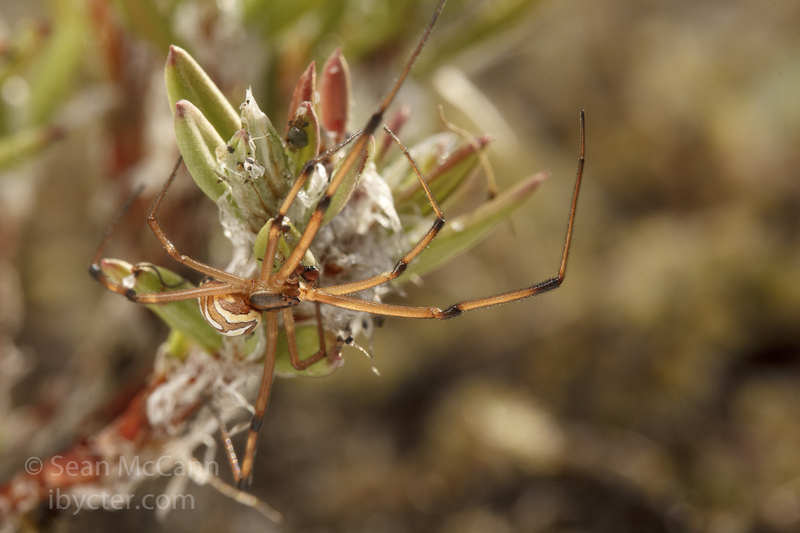 There is much still to learn about these spiders, and fieldwork is essential for making new discoveries and supporting or challenging what we already know from laboratory experiments. This project will shed light on the largely overlooked role of male-produced chemical cues in spider communication systems. More broadly, the results will increase our understanding of chemical communication in spiders, some of which are invasive or considered pests in certain areas. Such an understanding in insects has been crucial to the development of pesticide-free control strategies for pest species (e.g. using female chemical attractants to trap and remove males from a population). How does the density of rival males and potential mates affect the timing of male development, their competitive ability, and their mating success? How do males find immature females and what traits allow them to do so successfully? How does the silk left behind by rivals influence the behaviour of mate-searching males? Traditional operating grants will cover the cost of travel to and from our field site and the equipment we will need to do the work, but these funding sources will not cover the salary for a field assistant for Catherine. A field assistant will be essential to completing this project safely and successfully. Black widows are nocturnal, and we need to work when they are active. Working alone at night is not safe, especially when studying neurotoxic spiders at a site where cell phone service is often unreliable. (The chances of a bite are extremely low – no one in our lab has ever been bitten! – but the risks associated with envenomation or any other injuries are much lower when working in pairs). Furthermore, we will be able to run the experiments and make the observations we have planned much more efficiently as a team. Black widow spiders are inherently interesting not because of their public notoriety but because of the fascinating range of behaviours they employ to navigate their partially social lives and survive in a hostile world. Catherine Scott and Sean McCann, with their matchless background knowledge, rare talent for meticulous old-school natural history observation, and easy facility with modern scientific experimental design and high-tech laboratory analysis techniques, are uniquely placed to undertake the work described in this project. 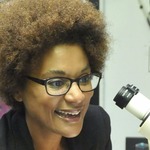 I am behavioural ecologist and arachnologist pursuing my PhD at the University of Toronto Scarborough in Maydianne Andrade’s lab. I have been studying communication and sexual behaviour in black widows for the last six years, first as an undergraduate research assistant, then as a Master’s student (both at Simon Fraser University), and now for my PhD. I am fascinated by the natural history of all spiders, and when I'm not studying black widows, I engage in science communication and outreach online and in person, dispelling myths and sharing my passion for all things spider-related. 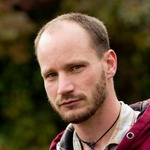 I am a behavioural ecologist, natural historian and photographer. I recently completed my PhD at Simon Fraser University, studying the Red-throated Caracara, a falcon that is a specialist predator of wasps. I have studied the behaviour and communication of many animals, including neotropical raptors, barn owls, social wasps, beetles, mosquitoes, and spiders. For the last six months I've been collaborating with Catherine on a field study of western black widows. In my work and in my spare time, I always take care to photograph the animals I study and encounter. I have found that people have a hunger to know about the beautiful and fascinating creatures that share our planet, and imagery helps me to open a dialogue about science and nature. 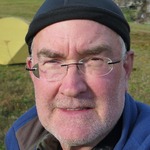 I am a Professor and Canada Research Chair in Integrative Behavioural Ecology at the University of Toronto. My research examines how reciprocal effects of ecological and social factors influence reproductive tactics, life history decisions, physiological performance, sexual selection, and diversification. Work in my group leverages the diverse mating systems and ecologies of spiders, particularly the 'widow' spiders (Latrodectus species) to test theory in these areas in the field and laboratory. Saying thank you for your generous support!!! $5 or more – We will thank you in the acknowledgement sections of any presentations and publications resulting from this research. $15 or more* – We will also send you a thank-you note and a sticker with our logo (above) on it! $25 or more* – We will also send you a fridge magnet or button with our logo on it! 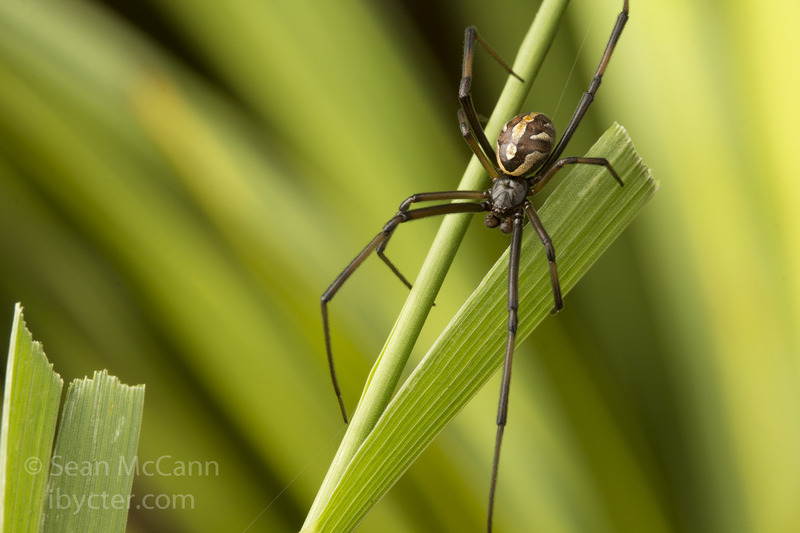 $50 or more* – We will also send you a print of your choice of a selection of photographs of black widows by Sean McCann (see more examples here)! $100 or more* – Sponsor a spider! In addition to everything above, we will name a spider after you (or give it a name of your choice) and send you a portrait, information (vital statistics, etc. ), and updates about your spider! *Please note that all funds we raise from this campaign will go toward the field assistant's salary. The cost of printing and postage will come out of our own pockets - we are happy to do this to demonstrate our appreciation for your generous support in a tangible way. If you'd rather not receive anything, just let us know!